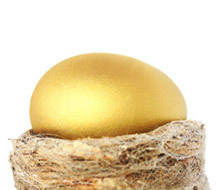 Key benefits of having a SMSF as opposed to other superannuation funds. Your superannuation holdings will potentially become your single largest investment and it is often not until retirement that clients come to realise that fact. After many years of letting an agent manage your super many people decide to finally take control of their savings. Why is this? Greater certainty with your investments. Advising the trustees of a SMSF is a specialised area and abc super funds have extensive knowledge and experience in advising interested parties to establish a SMSF. Find out why it is so important to using a licensed company to set up your fund.